With the new iPad Pro announcement yesterday Apple also announced some new accessories for the device, one of those is a new stylus called the Apple Pencil. The Apple Pencil is designed to work with the new multi-touch display on the iPad Pro and now there is a new video which shows how this new stylus will work. 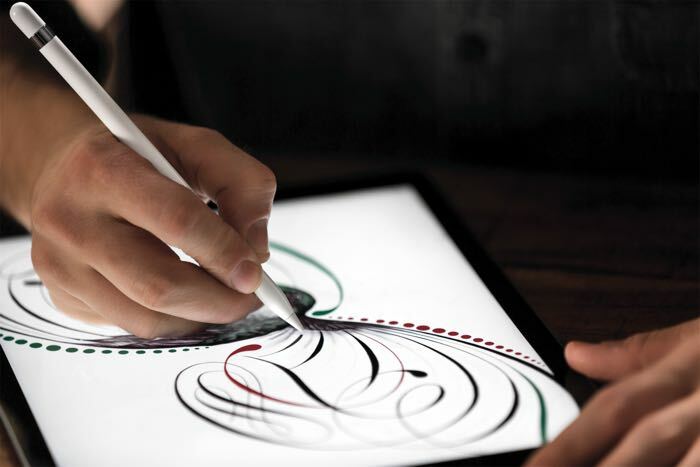 The Apple Pencil will allow you to draw on the iPad Pro with lines which are just 1 pixel thick, it also features pressure sensitivity that lets you control the line thickness when you are drawing on the iPad Pro. It comes with a built in battery that can be recharged using a lightning port, the device will launch at the same time as the iPad Pro and will cost $99, the new iPad Pro will be made available in November.